Solar eclipse 20.3.2015 Bristol UK. I only really set up my camera as a way to view the eclipse. With a light covering of clouds, the colours were lovely and was quite pleased with the results. 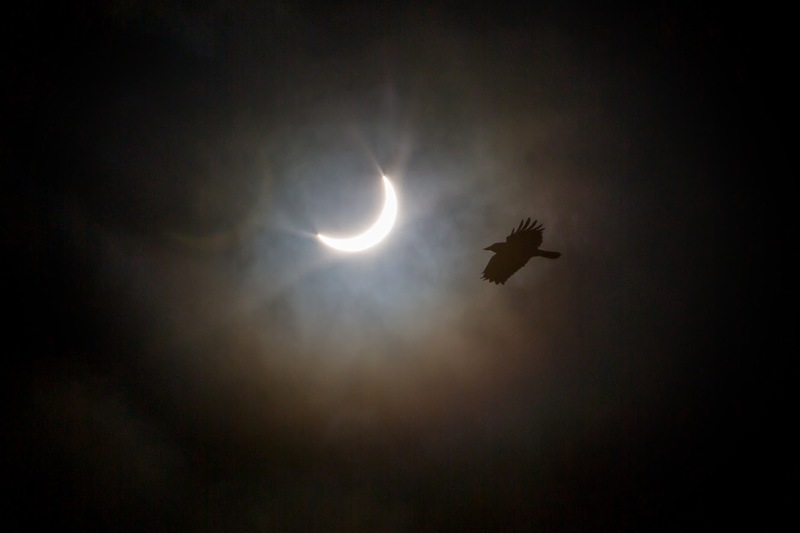 As I viewed the shots later, I discovered this single shot of a bird flying towards the eclipse, not only in a perfect position but also its shape creating a classic silhouette, very lucky!